JuiceDB has been an independent platform for vape consumers to share and get reviews on e-liquids they like, hate, or want to purchase. It’s purpose in the vaping space has always been a unique one where it is the single largest database of real user experiences and a cornerstone for discovering new vaping experiences. The brainchild of several Redditors the platform has for years been an important tool across the forum of ECR the largest sub-reddit for vaping as well as to new and experienced vapers. Its vital role in providing us all with actual genuine and unsolicited reviews has saved many a vaper from mistakenly making regrettable purchases. 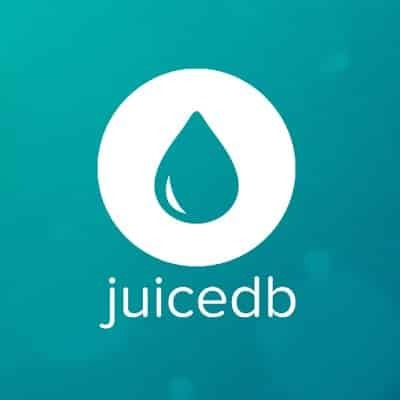 Also one of the most important things with JuiceDB is that it provided users with a destination where retailers themselves could submit discount codes applicable to a multitude of product categories. Recognized by thousands of global users as the Yelp of vaping, JuiceDB continues to thrive and provide a truly unique value to the vape space for consumers. Last year the website was acquired by an e-liquid manufacturer who did very little towards innovation. The website was eventually sold to and purchased by Breazy Inc, a Brooklyn based e-commerce giant that has strong and long lasting ties towards the vaping community and has been known for their contributions to advocacy, education, and offers the single largest destination and offering of e-liquids anywhere in the world. Breazy.com the parent website has been a mainstay in the community and the people behind the parent company Breazy Inc have promised to keep the integrity of JuiceDB.com intact and promised to fund innovations and features that previous owners have been incapable of delivering to the websites users. As can be expected the purchase and it’s public announcement have been met with some skepticism as the new owners are also retailers and would have a vested interest in monetizing the platform but so far their publicly disclosed plans seem to align with keeping the flow, look, and usability as it has been throughout its history. JuiceDB boasts 28,000 plus registered users, 34,000 product reviews, and is the single largest database of vape liquids on the internet. Breazy Inc’s founder released the following statement in a press release announcing the purchase. “We made this acquisition because we are committed to making sure there’s always a reliable, unbiased place on the web to get vaping product reviews,” said Andy Aranda, Founder and CEO of Breazy. Expect a big splash and some really cool things in the coming weeks as Breazy.com finally takes on the platform and attempts to re-engage its users with new announcements of features, minor design alterations, and potentially new partnerships that will bring greater value to consumers looking to get the most out of their vape budgets. Breazy’s team has promised great things ahead and considering their track record we are excited for the future of JuiceDB in the hands of its new owners. Stay tuned as we’ll bring you all the news on what changes to expect, potential giveaways you can take part in and any additional developments.